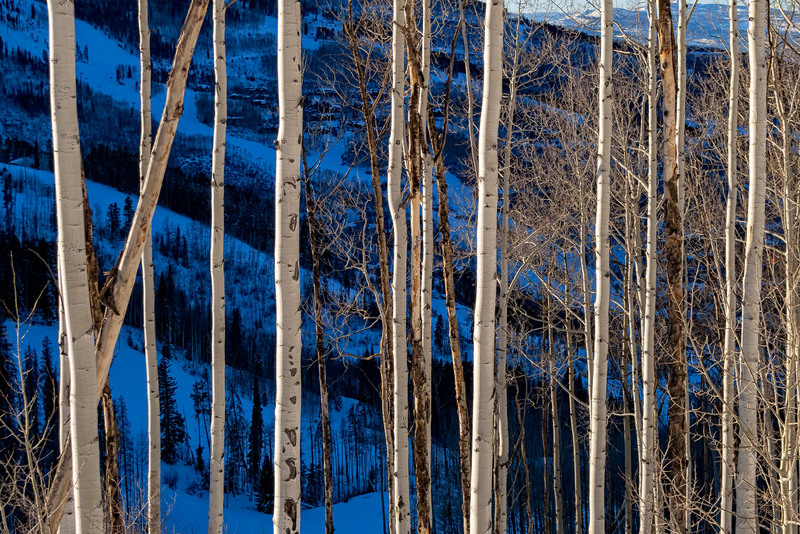 Winter scenic view with sunlit aspen trees and ski trail runs in background. Captured as a 14-bit Raw file. Edited in 16-bit ProPhoto RGB color space.